Also known as the Babakoto, meaning ‘ancestor of man’, the indri are surrounded by taboo. Many Malagasy believe the indri resemble their sacred ancestors, therefore traditionally they refrain from eating them. This affords these lemurs a certain degree of protection. Like other lemurs, they evolved from smaller species which came to Madagascar from mainland Africa 50 million years ago. Diurnal tree-dwellers, related to the sifakas, indri are the largest lemurs in existence. Able to run up at speeds of up to twenty miles per hour, they also sing to communicate with others of the species. Colours range from black to shades of brown with white patches. They move across the canopy by taking huge, graceful bounds of up to thirty feet. They live in small groups and bonds between the individuals run deep. In-fighting is rarely known. Indri lemurs pair for life. After mating, the gestation period lasts sixty days. The babies depend on their mother for the first two years and are cared for by both parents. Females reproduce once every two to three years and there is a high infant mortality rate, which exacerbates the population problem; they simply cannot keep up with their declining numbers. Mostly young, tender leaves; and flowers, seeds and bark. 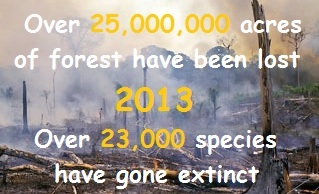 Habitat loss due to extensive rainforest clearance, selective logging, fuel wood and slash-and-burn agriculture. Although the indri are protected by taboo in many areas, in some parts they are still hunted for their meat and skins. And, then there is the fossa. The fossa was just made to prey upon lemurs and the indri are no exception. Snakes and hawks also share a taste for all lemur. The indri (indri indri) is listed by the International Union for the Conservation of Nature on the IUCN Red List as Endangered. The habitat of the indri has been totally ravaged by deforestation therefore endangering the indri itself. Thanks to the Wildlife Conservation Society (WCS) this is all about to change. With partially webbed feet, eyes that act as underwater binoculars and a flattened skull, this adorable little felid is perfectly adapted to its environment. Its streamlined, elongated and flat head houses small rounded ears and huge close-set eyes. Its snout is long and sloping. It has backward facing teeth, just to stop the slippery ones from getting away, and claws which are not completely retractile. And, it can immerse its head fully in water. Narrow pads occur beneath the partially webbed feet. Together, these inherent characteristics make the flat-headed cat a very efficient ‘fishercat’. Perhaps even more so that its cousin the fishing cat. Its coat is reddish-brown with traces of grey. The top of its head is of a deeper rust colour. Its reddish-brown tail, with its yellow underside, is short, thick and furry. Overall, it is small, about the size of a domestic cat, growing to only 20 inches in length and weighing 6 pounds at most. Little is known of the reproductive behaviour of these seldom-encountered cats. Few have been seen in the wild and only three litters have ever been born in captivity. A kitten was once found in the wild, alongside its dead mother who had been killed, but its fate seems unknown. In fact, very little at all is documented about this enigmatic species. Following limited observations, it is thought gestation lasts about 56 days. Thereafter, one to four kittens may be born. Lifespan in the wild is not known. Although, one flat-headed cat kept in captivity did live up to age of 14 years. Lakes, streams and swamped lowlands. Secondary forest, riverine forests and peat-swamp forests. Sumatra, the Malayan peninsular, Borneo and southern Thailand. Fish, crustaceans, birds, small rodents and frogs. Habitat destruction and degradation, pollution leading to poisoning, human settlement, drainage for agriculture and hunting. It is thought there may be less than 2,500 mature flat-headed cats (Prionailurus planiceps) left in existence. 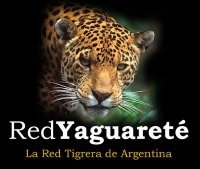 They are listed by the International Union for Conservation of Nature on the IUCN Red List, as Endangered. Hunting and trading are prohibited in Indonesia, Malaysia and Thailand. Habitat protection in the lowland and wetland forests is being addressed. Gangling limbs, which drag along the ground, a prehensile tail, hook-like hands and no thumbs – these are just a few of the bizarre characteristics of the brown spider monkey. Oh!… and it just happens to be one the rarest monkeys on the planet. Spider monkeys are also the largest amongst the New World monkeys – the name ‘spider’ being inspired by their extraordinarily ill-proportioned, elongated limbs. Their tails (sometimes longer than their bodies), which allow them to move gracefully through the branches with consummate ease, have hairless, tensile tips with fine grooves to aid gripping. The tail could almost be a fifth limb. They are extremely agile, very quick and capable of moving across the trees 40 feet at a time. Rarely touching the forest floor, they swing down by their tails and gather food – hands free! They have small domed heads with hairless faces, topped with a patch of white fur. Their bodies are covered in brown to black fur on top, with a paler underside. Although, most have brown eyes, some have been spotted with piercing pale-blue eyes. Brown spider monkeys have a whole cornucopia of sounds at their disposal. They screech, roar, squeal and grunt, whinny, whoop and wail. These noises serve to communicate on a daily basis. Some sounds are specific warnings of predators nearing. They live in groups of anything between 6 and 40. There tend to be more females than males in these groups. Infants, when born (gestation period 7 to 8 months) cling to the mother’s underside until they are able to hold on atop. They live in the upper levels of the rainforest, spending most, but not all, of their time in the canopy. They do use the middle and lower strata, but rarely alight to the understorey. North-western South America, between Venezuela and Colombia. A wide variety of fruits. When less fruits are available they eat young leaves, seeds, flowers, bark and decaying wood, and even honey. The occasional insect is also enjoyed. Habitat loss as a result of human incursion and land conversion. Due to their large size, it is thought puma and jaguar are their only significant natural predators. However, babies and juveniles are occasionally snatched by eagles and smaller carnivores. Notwithstanding, poaching is their biggest threat. 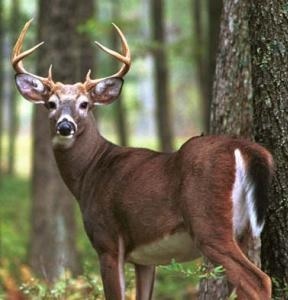 They are hunted for both food and the commercial market. They are large and visible making them easy targets. In the illegal pet trade, mothers are killed and babies taken to be sold to the highest bidder. In 2006 brown spider monkeys (Ateles hybridus) were placed on the world’s Twenty Five Most Endangered Primates list. Their numbers are still continuing to decrease. Unfortunately, their reproductive cycle is slow, making it difficult for them to re-populate efficiently. The International Union for Conservation of Nature has placed them on the IUCN Red List as Critically Endangered. Guerilla activity, in some parts, is hampering the progress of conservation efforts.